UK TV network, BT Sports has extended their exclusive TV rights deal with UEFA for another three years and it is worth a whooping £1.18 billion in total (£394 million per season) till 2021. BT Sports current deal was suppose to run out by the end of 2017-18 season which was worth around £897 million in total over three years from 2015 to 2018. 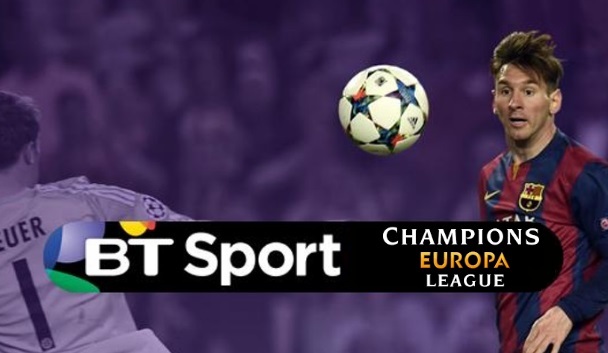 BT Spots saw off the challenge from SkySports to land another exclusive 3-year UEFA deal which makes them the exclusive rights holder of both UEFA Champions League and Europa League in the UK. The deal also include highlights package which means ITV will lose their Champions League “Highlight show”. BT had to pay around £300 million more for the new deal which makes it the most lucrative TV deal for UEFA. BT Sports however are likely to sub-license some of the matches to either Channel4 or ITV (both free-to-air). In case they won’t reach agreement with either network, BT Sports will broadcast 1 match per every matchday live on their free-to-air channel callend “BT Showcase” and on their official youtube channels. If None of the english teams reach final of Europa League or Champions League both finals will be broadcasted live on free-to-air channel as well as on youtube. What it means for English clubs in playing in Europe ? : As far as UEFA are concerned, they have promised to significantly increase English club’s market pool share from 2018-19 season. That means any English team reaching the later stages of the tournament will earn more than their counter parts from other major European countries. If English club were to win the Champions League in 2018-19 season they can pocket as much as £120 million compared to £90 to £100m for any team winning the tournament from Germany or Spain. What happens with ITV Highlights ? ITV is most likely to lose their highlights rights but might get a sub-license deal to show 1 game per week live. Any benefits for English clubs in Europe ? YES, UEFA has already announced larger “market pool” for English clubs from 2018 season. Which means any English club reaching later stages of the tournament will earn more than their other European counterparts.